Yup! I'm still knitting. Look! I finished the back of Rowe! 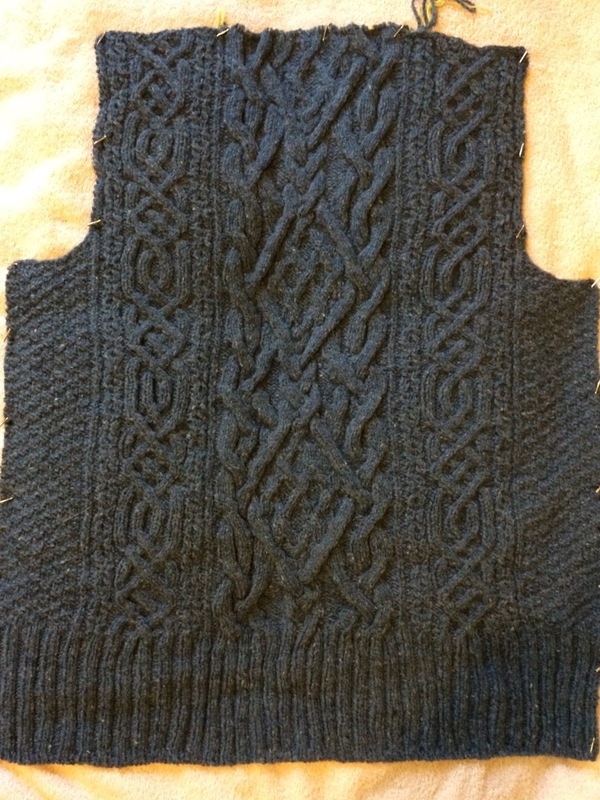 The cables were so much fun to knit! I've moved on to the two front panels of the cardigan. The big, fancy cable is only on the back of the sweater. Not much else to report here. I can't believe that Thanksgiving is only a little over a week away! I'm enjoying knitting Rowe so much. It's a beautiful sweater and it's also fun to knit. I finished both sleeves. And I've started the back of the sweater now. It's going to take a while to knit this one! But I love it. Mia has found a nice new place for her winter bed. She enjoys being able to look out the window without moving from her cozy nest, and to be in the sun when it's sunny. Thanks as always for stopping by and saying hi. Sorry my stitching mojo has disappeared again.